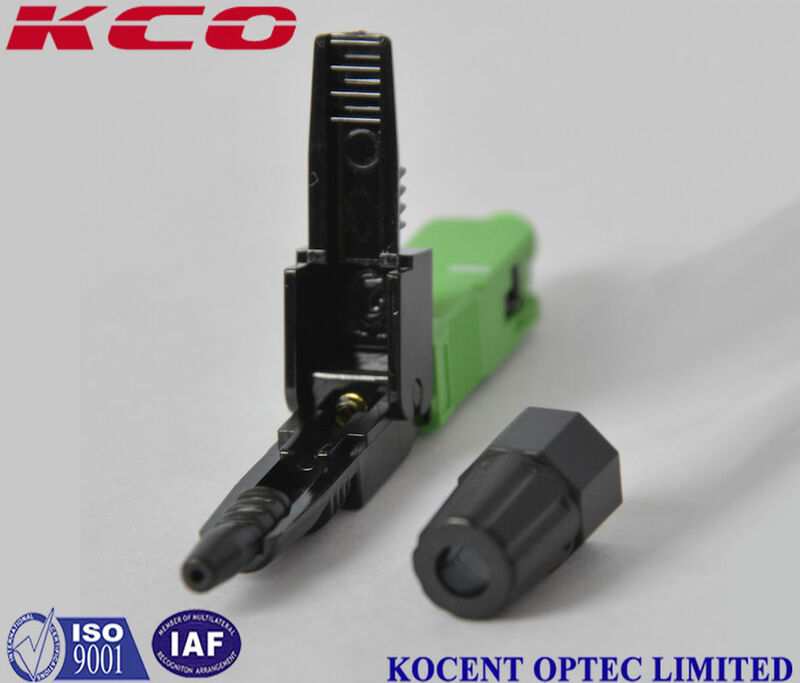 SC/APC fiber optic fast connector also call SC/APC fiber optic quick connector, fiber optical field assembly connector, optical fiber fast connector, optic fibre quick connector, fibre quick connector, optical quick connector. 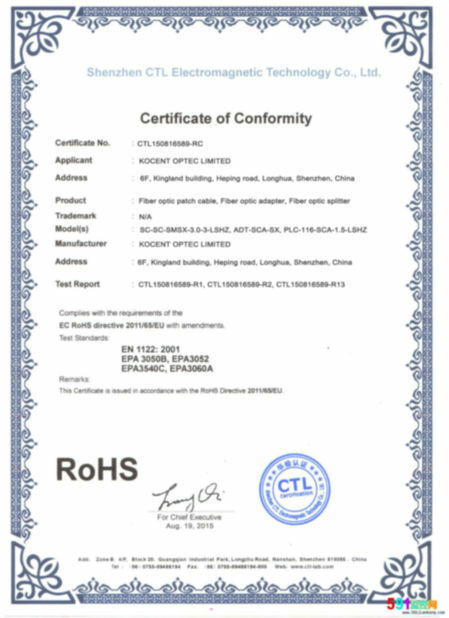 There are available in SC/UPC, SC/APC, LC/UPC, LC/APC, FC/UPC, FC/APC, ST/UPC. 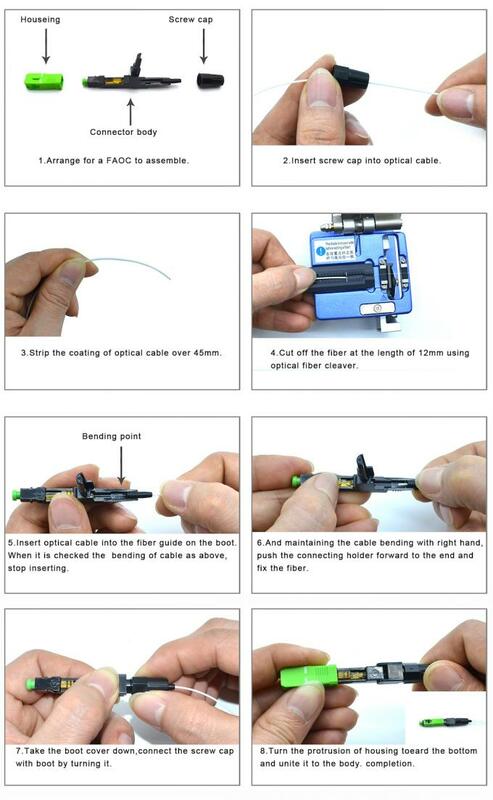 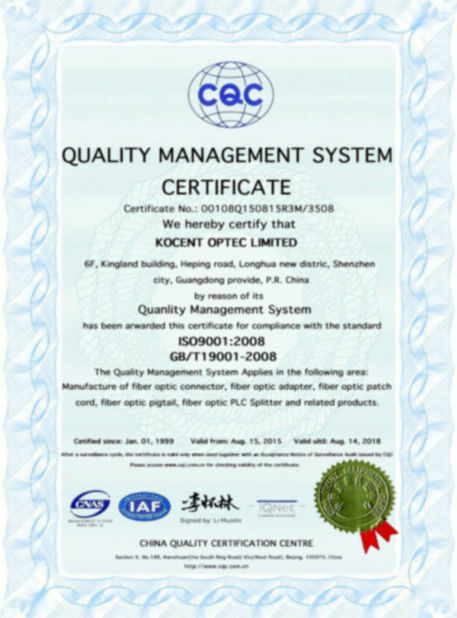 Use for 0.9mm, 2.0mm, 3.0mm indoor fiber optic cable and 2x3.0mm fiber optic FTTH cable.